I was going through some of my old cd's today to try to find music to add back to my computer (I can't believe I still have all my CD's, hah). I have about a million CD's from when I was a kid that I never labeled so it's always a surprise when I pop in the disc. One of the them ended up having some of my photos from when I studied abroad in Italy in 2006. I thought I had lost all these photos after having my house robbed shortly after I got back from studying abroad. What a nice gift for returning huh? Well, I'm glad I at least found these ones and printed off many as well! I was 20 that summer and spent my time in Turin (or Torino), Italy. It was home to the 2006 Winter Olympics, and while I may have missed the Olympics, I was there for the World Cup that was being hosted in Germany. I suppose it doesn't matter where the World Cup is being held in the world, it gets absolutely crazy in Europe! I remember the piazza's were filled with people partying and celebrating until 5 in the morning. They love their soccer here! One guy in our group took an impromptu train ride (as was most of our travels) to Germany to watch a game. I definitely regret not making my way over there while I had the chance. Oh well, such is life. If you've never heard much about Turin, it's a huge city of over a million people in the Northwest part of Italy. 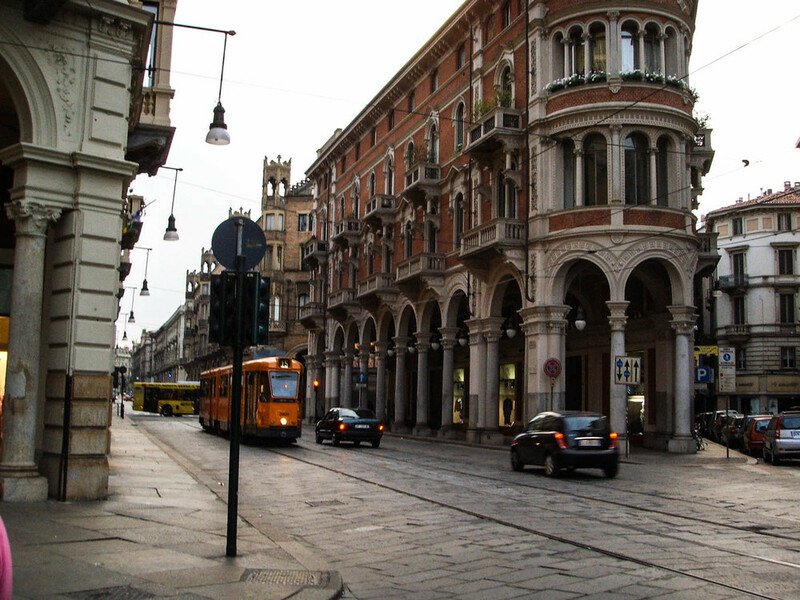 It's an hour or so to Milan by train and the city itself offers a lot to do. It's home to the Shroud of Turin and has some really beautiful buildings to see. It also has a lot of industry and as a side effect has quite a bit of smog. Even though we were surrounded by the Alps, I don't think we ever saw them through the thick cloud of smog covering the city. Below was the view from my old apartment that I shared with another student. It was actually quite large for Italian standards, with an entry/dining area, kitchen, bathroom, and large bedroom. Although, the kitchen was quite small as you'll see. I think it was the smallest room in our apartment. On the left was our kitchen.....pretty small for two people! The right was the view from our apartment. These are some of the only photos I have from Turin. I think I need to go back and get some decent images. We pretty much stayed in Italy the entire time and took trips every weekend around the country. I visited Venice, Rome, Milan, Cinque Terre, Florence, Pisa, Siena, and London. Everyone I traveled with were all about the same age (20ish) so I think we were just as excited about drinking Italian wine as we were to see the sights. Okay, maybe more excited. One time we took a quick trip to London for a mere 24 hours since it was under 100 Euro to fly with Ryan Air. We didn't bother with a hotel since we didn't want to pay for one and our flight was leaving early the next day. So, we stayed up all night then took the train back to the airport after a long night out. I don't think that's something I ever want to do again. Ever. I was soo tired. However, I was thrilled to have a cheeseburger at Hard Rock Cafe. Even if they're not the best burgers around, they're pretty good when you're in Europe! I think my camera died when we were there because I don't have any photos of London. I don't think I would ever let that happen to me today. Below are photos from one of the weekend trips we took to Milan. Milan was fairly industrial, and while I know it's one of the fashion capitals, it didn't seem like there was much to do except check out the Duomo, but again, we drank a lot of wine, hah! 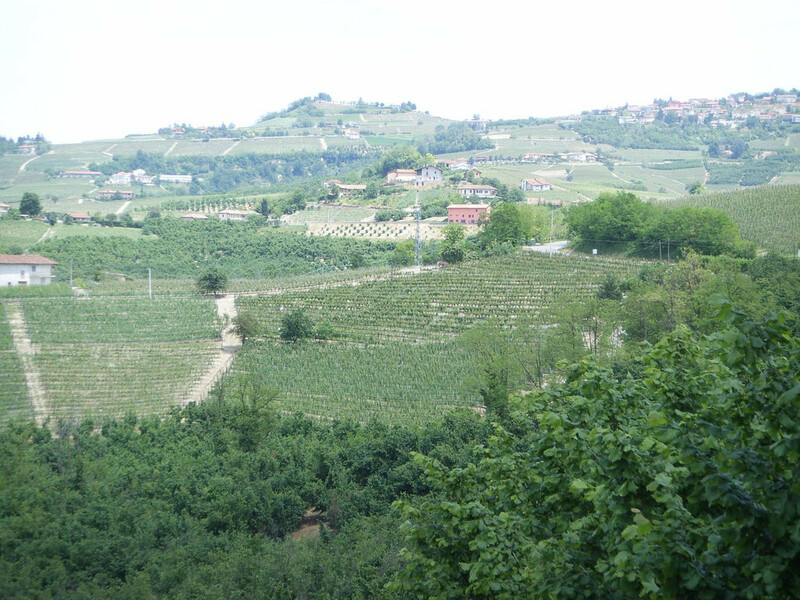 We also did a trip to some vineyards in Alba. 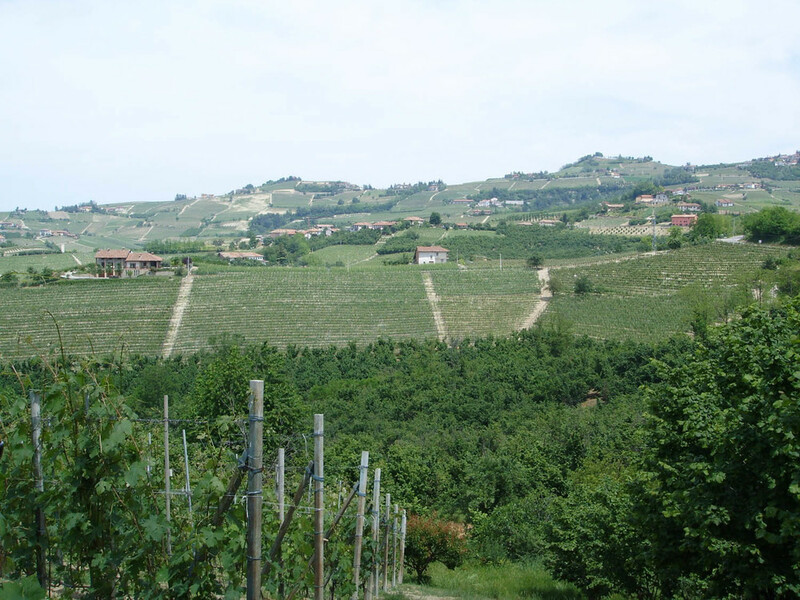 Alba is known for their delicious Barbera and Barolo wines. When we were in Turin, Barbera wine sold for about 2 Euro each. My favorite part of Italy had to be the people. Italians are so friendly and outgoing. We had a go-to place near our apartments that served up great Italian food. They would always give us a free shot of limoncello after dinner. Another place served meter long pizza that came out on a long wooden cutting board. I think my favorite places we visited were Siena and Florence. Rome is interesting for the historical aspects, but it's pretty dirty and the air is filled with car fumes and smoke. It's not very romantic in my opinion. Venice is another city that should be seen, but you don't need more than a day or so for it. Also there are so so many tourists crowding the streets that it ends up feeling more like you're getting herded around than being able to enjoy yourself. I wrote about my trip this year to Lake Garda and Venice. I love Lake Garda and places that aren't as touristy or well known (off the beaten path I suppose!). If I could live there forever I would. You can read about my post here or check out my photos here. Near the area is an arena that's an old amphitheater. Today shows and operas are held throughout the year. I didn't know about it until after I left but it's something to check out if you're in the area! We also passed through the mountain town of Bolzano. It's a small Italian town in a pretty setting and you're less likely to hear as many tourists. Studying abroad is a lot of fun and a great experience. I highly recommend it if you're in school and have the opportunity to do so.